St. Paul's is an icon of London. It stands majestically in the heart of the City. We will start our tour of St. Paul's Cathedral with stopping and just taking it all in. It is worth a moment to just take a seat and just observe. 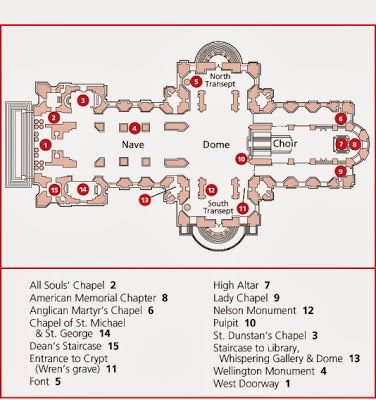 When we decide to start looking around we will tour the Nave, stopping to see St. Dunstan's Chapel, the Chapel of St. Michael, the Wellington Monument and then font. In this section there is a fair amount of religious, yet modern art. Being that it is very different than my faith, I want to ensure that my children have the opportunity to see it and understand it. We will then go to the Choir and Alter section. Behind the Choir is the American Memorial Chapel. Not only is this a reverent section, one that honors those that fought in World War II, it is an interesting section to observe. This section was destroyed in the Blitz and has been rebuilt. Images in the stained glass include George Washington, an American Eagle, Jesus Christ and a rocket ship. 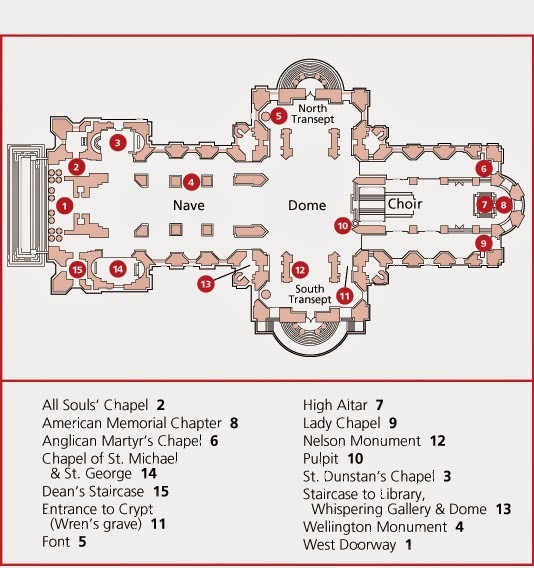 We will then back track to the south transept and look for the staircase to the whispering gallery and dome. This part of the tour is not for everyone. It takes 40 minutes to an hour to go up the 540 steps and back down. You need to be in shape and it may be a challenge for little ones. It is in 3 sections and as it is a one way staircase once you commit to a section you need to proceed. Many families only make it to the first section. If you do go to the whispering gallery, the first section, spread the family out to talk to each other around the dome. See the faces of your children light up when they can hear your voice whisper to them even though you are a long ways away. Enjoy the sites of the church from high above. I have never gone past the whispering gallery and I would really like to take my older children up to the top to see the sites of London. The next section is the stone gallery. The very top is the golden gallery. Small as it may be it will let you see London from 280 feet (85 meters) in the air and may be the highlight of this London attraction. We will then descend all the way to the basement crypt and checkout some tombs. The 3 biggies are Nelson, Wellington and Christopher Wren. There is another chapel to look at as well - the Chapel of St. Faith. Hit the bathrooms on the way out. They are located by the main entrance. It is not cheap to visit St. Paul's. Adults are £16. Buying online will save you £1.50 and give you a fast pass entry. There is a family plan. St. Paul's is no longer covered by the London Pass. The Cathedral normally closes at 4:30 so they can have worship sessions at 5:00. Do note that you are not allowed to take pictures inside. We plan on taking an old Routemaster double decker bus to the Cathedral. 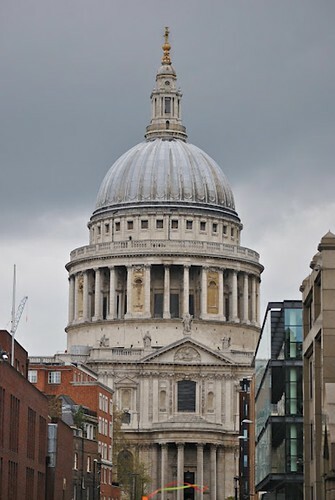 London Transport has a Heritage route, number 15, that stops at St. Pauls. 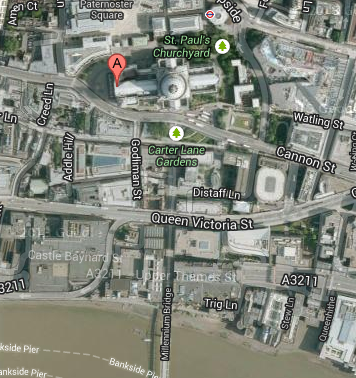 If you choose to take the Tube, St. Pauls Station, is served by the central line. You can always use the London Transport option of riding a bike. The bike dock on the north east side of the church on Newgate and King Edward St. Going on a family vacation builds memories, provides life changing experiences and helps teach about the world we live in. Take time to explore, enjoy and have fun. If St. Paul's sounded interesting, you may also like Westminster Abbey. You can also look at our entire list of London Attractions.